Timestretch in Wavosaur for free !! Time stretching (and time expanding !) 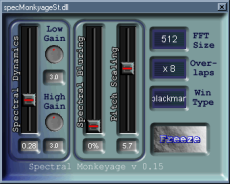 is an useful feature for those who produces remixes, mashup / bootleg, or want special FX. Time stretching consists in changing the speed of a sound without changing its pitch. 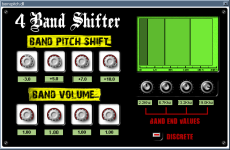 The inverse operation is called pitch shifting : changing the pitch without modifying the speed. The simple pitch shift modify the speed when you change the pitch : it acts like a goold old turntable if you set your 33 rpm LP record to 45 rpm => pitch increase ! welcome to the chipmunks. The High precision FFT pitch shift is a special effect for changing the pitch without changing the speed. High precision FFT pitch shift + simple pitch shift = time stretch / expand !! https://blog.wavosaur.com/wp-content/uploads/2013/08/02.-Marvin-Gaye-I-Heard-It-Through-The-Grapevine-pitched.mp3 this is the pitched chipmunkized version of the vocal sample! with these two operations you obtain a time stretch / expand : pitch is the same, but speed as changed ! This is more effective for voices, solo tracks… but don’t hesitate to experiments. Just don’t forget your calculator, if you need to make something less trivial than one octave up / down. The FFT pitch shift can be long to compute, you can also use free pitch shift VST plugins instead of the native Wavosaur effect. This entry was posted in Misc on 13 August 2013 by Wavosaur.